The DSS profiler engine runs data profiling operations as a pipeline on data located in multiple data lakes. These profilers create metadata annotations that summarize the content and shape characteristics of the data assets. A Hive column univariate statistical profiler. Hive Metastore hive_metastore_profiler Retrieves information about the number of hive tables that have been added every day. Sensitive sensitiveinfo A sensitive data profiler- PII, PCI, HIPAA, etc. Ranger Audit audit A Ranger audit log summarizer. You can edit some of the profiler configurations in Ambari via the Datalake Profiler component. Currently, you can only use pre-built profilers. You can only schedule profilers during installation. You can monitor the overall health of your profiler jobs by viewing their status on the Profiler > Jobs. In addition to turning on and off the profiler configurations, the individual profilers can be run with their own execution parameters. These parameters are for submission of the profiler job onto Spark. You can edit the configuration of profilers and update these parameters to run profiler jobs. In addition to the generic configuration, there are additional parameters for the Cluster Sensitivity Profiler that can optionally be edited. If you have configured your profilers on a cluster and want to use the same configurations on other clusters, you can replicate the profiler configuration to the second cluster using the magic wand feature. 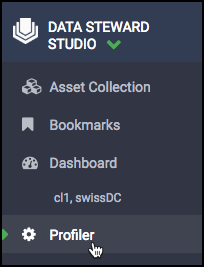 By default, profilers are enabled and run every 30 minutes. If you want to disable (or re-enable) a profiler, you can do this from the Configs tab. You can use preconfigured tag rules or create new rules based on regular expressions and whitelist or blacklist files on specific columns in your tables. You can create a custom profiler by adding the required tags, regex entries, and attaching whitelist or blacklist files to specific columns within your tables.